Hidden spaces are surprising, whimsical and ridiculously clever. They can also become fabulous hiding places. 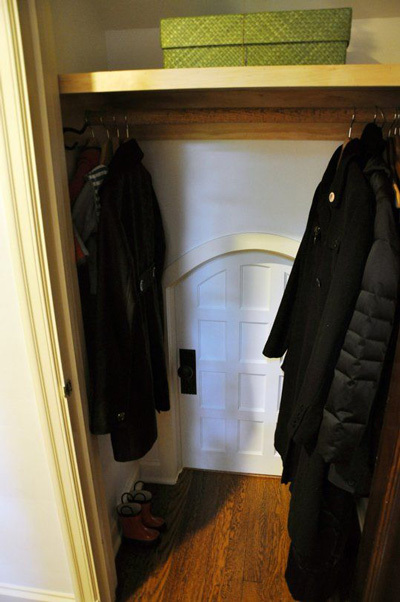 We’ve found 12 amazing secret spaces in homes. 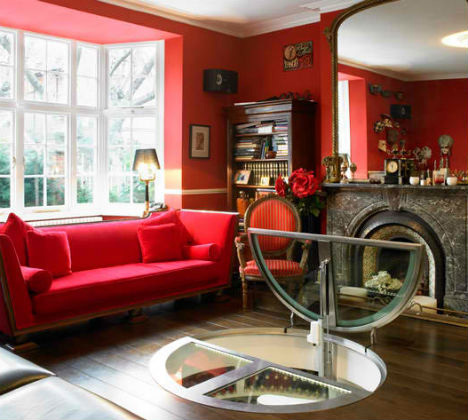 From small drawers to whole rooms, check out these 12 fabulous secret spaces. Little ones love small spaces to hide their treasures — or themselves. 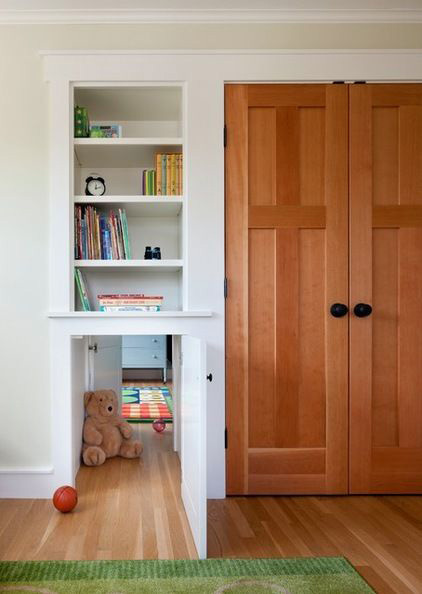 Unused cupboards can become their very own nooks or secret passageways. The space under the stairs is often forgotten, but savvy homeowners know that secret spaces — and even small rooms — can be built beneath staircases. Everyone needs more bathroom space to store lotions, soaps and washcloths. 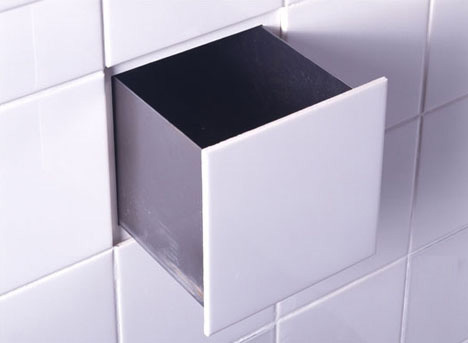 A secret bathroom tile can keep bathroom goods on hand, but hidden and out of the way. Hidden passage doors aren’t just for the movies anymore. They not only come ready made, but provide fabulous looking extra storage space. 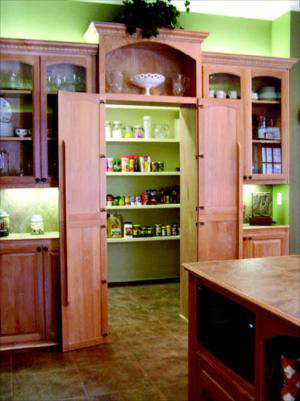 More storage space in the kitchen is on every homeowner’s wish list. So hidden walk-in pantries are a cook’s — and a mom’s — dream come true. Mirrors are pretty decor items with the added bonus of making spaces appear larger. 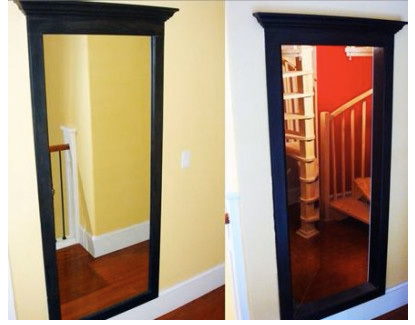 Multipurpose “wall mirrors” not only look classy, but you can push them open and they become a doorway to yet another space. Fireplaces are warm and inviting. 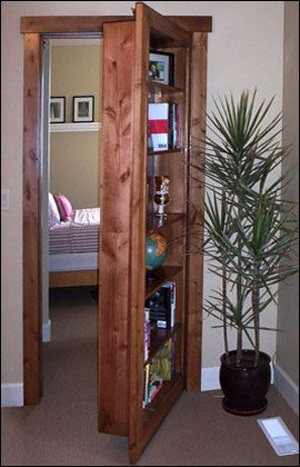 But if you happen to have one that you aren’t using, it can become cleverly hidden storage or even a secret passageway. Large paintings can dress up a room with splashes of color and style. They can also cover large holes created to be clever hiding places. Hard-to-reach places are easily forgotten and can become unused spaces. 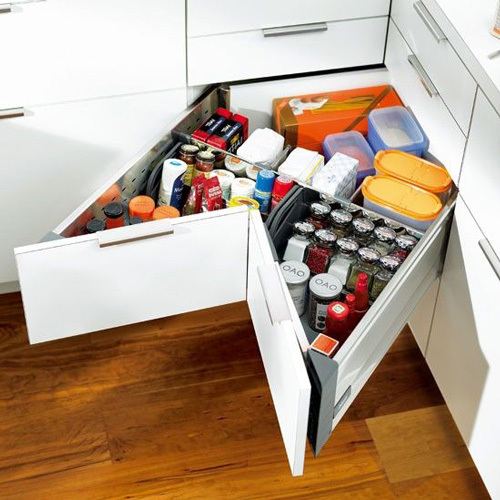 But pull-out corner drawers solve this problem by creating a wealth of secret space. Secret holes in floors can be covered up with latch doors and carpeting. These holes can be used to store things small and large — even whole wine cellars. Secret behind-the-door spaces can be transformed into organized storage that’s out of the way and still easy to access. 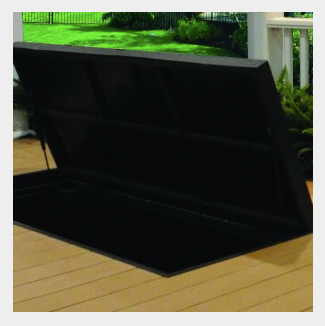 Secret deck storage is clever and keeps bulky outdoor items safe, clean and out of the way.